Flexible Rights Management | DRM Digital Rights Management Protect Content PDF, Protect MP4, Protect WebM, Protect MP3, Protect WAV. You can manage in the DRM-X 4.0 control panel: Rights price, open count, expiration date (accurate to seconds), dynamic watermark, blacklist, smart prevent recording, hardware bind and revoke license. This ensures that your encrypted files are sent anywhere under copyright control. By setting a Rights description in the Rights, the user is quickly informed of the license information to be obtained. For example, you can display how long the Rights is valid, how many times it is allowed to open, how much it costs, whether it is allowed to print, and how many times it is allowed to print. With Rights price, you can limit the number of times a user obtains a license. If the user account amount is less than the Rights price, the user cannot obtain this Rights, if the Rights price is set to $10, after the user obtains the license, the system will deduct $10 from the user’s account amount. The open count is the number of times a user can open files after acquiring a license (including refresh). If the number of license Rights settings is 10, the user can only open 10 times (including refresh) after obtaining the license. If you do not want to limit the open count, you can set the open count to “-1” in the license Rights. 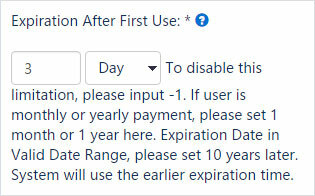 In DRM-X 4.0, license Rights support more precise expiration limits. You can set the license validity period precisely. The calculation units are divided into year, month, day, hour, minutes and second. For example, if you set this to 30 minutes, then the user will push back 30 minutes after getting the license. After 30 minutes, the license will expire. Begin date is the effective date of the Rights, before this date, the DRM-X 4.0 protected file cannot be played. You need to set the begin date to the previous day of the current time. 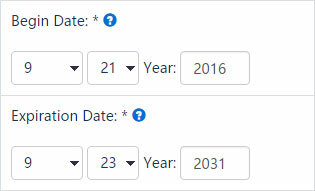 The expiration date: The license will expire after the expiration date and the encrypted file will not be opened. This feature is for PDF documents. If you encrypted file is a PDF, you can enable the Protect Document in the Rights and select Allow Printing in the Protect PDF Settings. With Allow print feature, you can manage your PDF documents both securely and conveniently, according your needs to set allow printing. If you want to limit the print count, you need to first select Allow Print, then set Print . The default number of prints is -1, -1 means unlimited prints. For PDF encryption, we provide the option to disable the virtual printer. After the virtual printer is disabled, only the real (physical) printer through USB port can print the document. If you selected Disable Virtual Machine, the user will not be able to play or open encrypted files on virtual machines. Disabled virtual machine include VMWare and Microsoft Virtual PC. Secure your digital content by disabling the opening of protected files on virtual machines. When the user opens the protected content, the dynamic watermark will display the user's user name or other user's identification information (mobile number and ID number), even user pirated content through the screen recording, you can still use legal means to obtain evidence and block piracy, effectively prevent end users from using external devices to illegally record content. DRM-X 4.0 dynamic watermarking supports two modes of display. The first way is to set the watermark's position and frequency of change. The second type of watermark display is a marquee effect with a higher level of security. DRM-X 4.0 inherits 3.0's blacklist prevent screen recording feature. 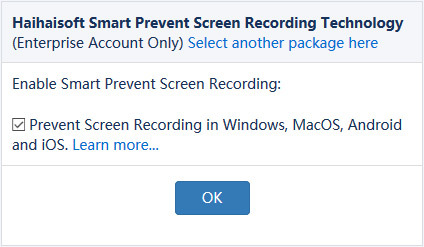 By setting the blacklist program, it can effectively prevent the blacklist from recording or screenshots. When the user opens the protected file, if the Xvast detects that a blacklist program is running, the Xvast will immediately block the blacklist process. 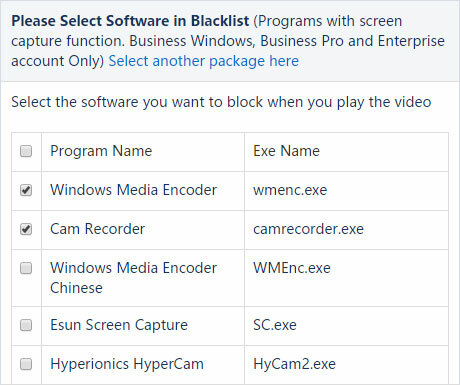 Currently, the blacklist program contains hundreds of screen recording and screenshot programs.